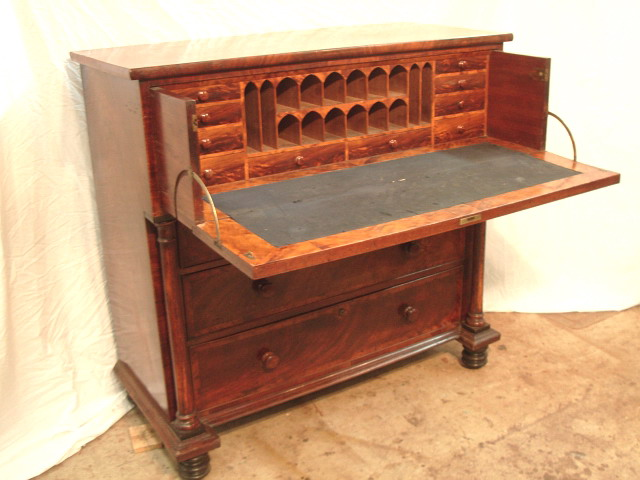 News | Jenkinson Antiques - an ever changing cabinet of curiosities! 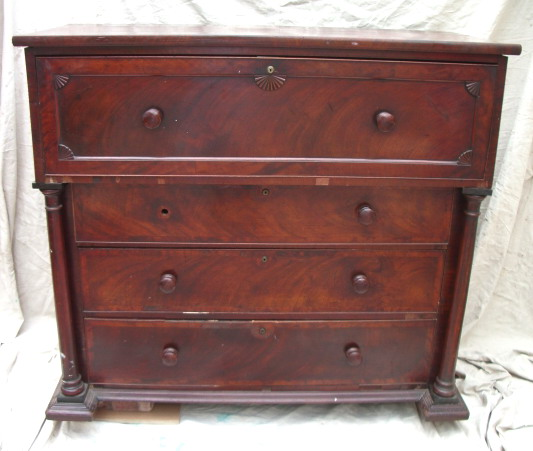 Sir Walter Watson Hughes’ cedar secretaire chest is in original condition and was most likely made in Sydney between 1835 and 1840. This secretaire chest was purchased at auction by Peter Jenkinson and after conservation it was sold to the Art Gallery of South Australia, where it is currently on display in Gallery 1. An all cedar cabinet comprising three lower drawers, which are showing flame cedar fronts that are cross-banded with musk and cockbeaded with cedar. The drawer blades are cross-banded in cedar. The cabinet is fitted with original Bramah locks. Above the three drawers is a secretaire compartment that is decorated with early 19th Century “Grecian” design, fans and acroters. This secretaire drawer is cockbeaded with cedar and cross-banded with musk. 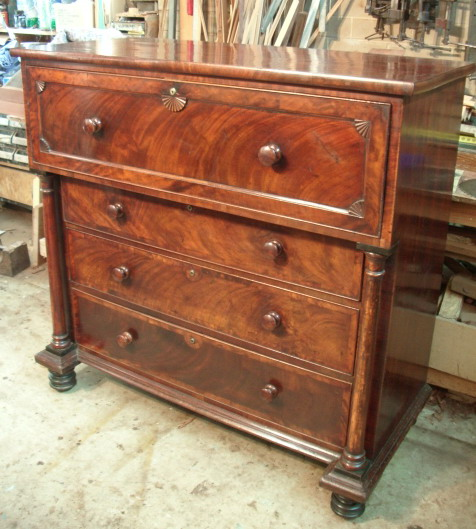 The drawer front falls forward to reveal a well-fitted interior section comprising ten drawers veneered in tulipwood and with tulipwood turned knobs in the same style as those used on the drawers below. The interior pigeonholes are of a beautifully arcaded form with musk facings. The original blue cloth-writing surface is surrounded by select cuts of musk and the brass fittings are original. Find out more information about the secretaire chest and download the brochure here. In mid December this year Peter Jenkinson launched his new website Jenkinson Antiques, offering a kaleidoscope of old world treasures and antique curiosities from all over the world. 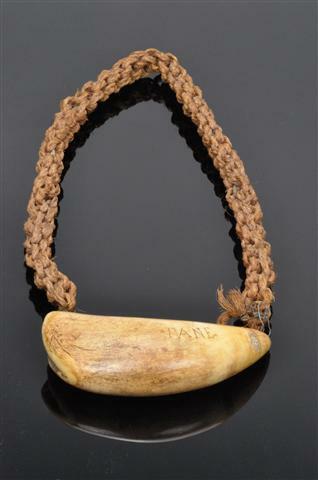 The main feature of the site, however, will be the Australian antiques and those of special note will have this significance outlined in some detail. In this way Peter hopes to develop in his audience a better appreciation of local history in South Australia and also to open up the market for interested others. The content is eclectic, interesting and there is always something new to look at and admire, so be sure and visit the site regurlarly. Peter also offers a range of research services for those who want to know more about their treasured possessions.